As Ambedkar is increasingly dispersed amid multiple claimants, it has become urgent to probe his writings to extract the core of his thought. Such a philosophical engagement was undertaken by Althusser with his return to Marx, and Lacan to Freud. 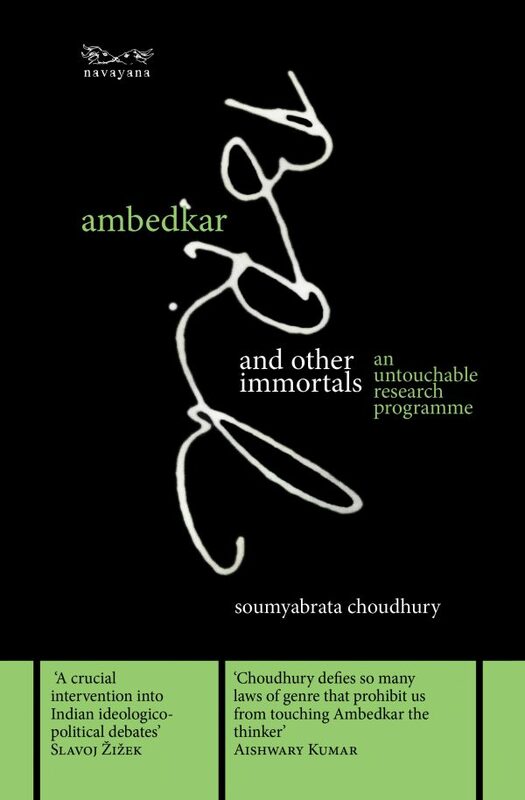 Soumyabrata Choudhury similarly ‘returns’ to Ambedkar, guided by Alain Badiou’s philosophical system. Impious and partisan, he finds the ‘untouchable’ leader asking himself: What can the existence of caste teach us about equality? Ambedkar, the activist and politician, is upheld as a thinker with supreme fidelity to the “norm of equality”, a figure in a long line of immortals from Pericles and Abbé Sieyès to Toussaint L’Ouverture, to wager on the absolute value of equality undeterred by its absence on the ground. By rigorously interrogating the notion of caste, Ambedkar also revealed the inner coherence of all unequal societies going back to the very birth of democracy in Ancient Greece. Choudhury stresses that the malignity of caste as a symptom of inequality has global import. Recognising the universal logic of subjugation then opens up the space for a universal articulation for emancipation. Soumyabra is Associate Professor at the School of Arts and Aesthetics, Jawaharlal Nehru University. He has authored Theatre, Number, Event: Three Studies on the Relationship between Sovereignty, Power and Truth, and articles on ancient Greek liturgy, the staging of Ibsen, psychoanalysis, Nietzsche, Schiller and Hegel.